Interpretation – definitions are at the end of these terms and conditions. The Supplier must supply the Goods and/or provide the Services to WPH in accordance with, and as specified in the Purchase Order. The Parties agree that the Supplier’s obligations under this clause 1 are material obligations, breach of which entitles WPH to terminate this Agreement immediately under clause 14.1. The Goods must match the description (including performance criteria) in this Agreement. If the Supplier gave WPH a sample of the Goods before it entered into this Agreement, the Goods must correspond with the sample in addition to matching the description. The Goods must comply with any relevant standard of the Standards Association of Australia and any other standards specified in the Purchase Order. The Goods must be fit for the purpose for which Goods of the same kind are commonly supplied and for any other purpose specified in the Purchase Order. The Goods must be new and of merchantable quality. The Goods must be clearly marked with the identification marks specified in this Agreement. These identification marks must also be shown on drawings and on dispatch and shop lists. Any computer software or hardware supplied in connection with the Goods must operate properly and in accordance with any specifications that may be set out in this Agreement. The Parties agree that the Supplier’s obligations under this clause 2 are material obligations, breach of which entitles WPH to terminate this Agreement immediately under clause 14.1. The Services must match the description of the Services in this Agreement. the Services must correspond in quality with the Services that achieved that result. The Services must be performed by appropriately qualified and trained personnel. The Services must be performed with due care and skill. The Services must be fit for the purposes for which those types of Services are commonly bought and for any other purposes specified in the Purchase Order. Any items which the Supplier uses or supplies in conjunction with the Services must be of merchantable quality, comply with any applicable standards of the Standards Association of Australia and any other standards specified in this Agreement and be fit for their usual purpose and any purpose specified in the Purchase Order. The Parties agree that the Supplier’s obligations under this clause 3 are material obligations, breach of which entitles WPH to terminate this Agreement immediately under clause 14.1. At any time before the Delivery Date or the Completion Date (as the case may be), the Supplier must (on request of WPH) keep WPH fully informed on all aspects of the delivery of the Goods and/or the performance of any Services. a detailed program for the projected supply of the Goods and/or Services. 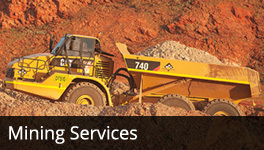 at the Supplier’s premises and at the premises of any of the Supplier’s sub-contractors. The Supplier agrees to ensure that WPH and its representatives are provided with access to the premises and that all facilities required for WPH and its representatives to inspect, examine and witness the testing of the Goods and/or Services are made available to them. The Supplier must advise WPH when any part of the Services has been completed and is ready for review, inspection, examination or witnessing of testing. The Supplier must give WPH and its representatives 10-days’ notice of the date the Goods will be ready for delivery, final inspection or for performance tests prior to delivery, so that WPH or its representatives can be present. If, as a result of WPH’s review, inspection, examination, or witnessing of testing, WPH is not satisfied that the Goods and/or any Services will comply in all respects with this Agreement and WPH informs the Supplier in writing of its dissatisfaction, the Supplier agrees (at the Supplier’s cost) to take such steps as are necessary to ensure compliance with this Agreement. Any review, inspection, examination or witnessing of testing that WPH undertakes prior to delivery of the Goods and/or provision of Services does not relieve the Supplier of its responsibilities under this Agreement. The Supplier is required to make the rights contained in this clause a condition of any sub-contract work. ensure that the area of the Site used by the Supplier is left secure, clean, orderly and fit for immediate use. all Supplier Personnel abide by WPH’s safety policies and procedures, and comply with all lawful directions and instructions given by WPH personnel. Unless this Agreement provides otherwise, the Supplier agrees to supply, at its own expense, all labour, plant, equipment, tools, appliances or other property and items it requires to fulfil its obligations under this Agreement. Any plant, equipment, tools, appliances or other property and items that WPH provides to the Supplier to enable it to complete this Agreement remains WPH’s property and must only be used for the purposes of fulfilling the Supplier’s obligations under this Agreement. The Supplier must keep WPH’s property in good order and condition, subject, in certain specified cases, to fair wear and tear. The Supplier is responsible and must compensate WPH for any loss or damage to or waste of the Site or property by the Supplier Personnel. WPH agrees to pay the Supplier the Price specified in the Purchase Order. all Taxes other than GST. Subject to clause 14.7, the Price may not be increased without WPH’s prior written consent. WPH has the right in its absolute sole discretion to refuse to give its consent. Unless the Purchase Order states that progress payments are to be made, the Supplier must invoice WPH for the Price (determined in accordance with clause 8) upon delivery of the Goods and/or upon completion of the Services. Where progress payments are to be made, the Supplier must invoice WPH at the end of each calendar month (or other period specified in this Agreement) for Services performed by the Supplier in that month or that period (as the case may be). When submitting its invoice under clause 1 the Supplier must provide WPH with all relevant records to enable WPH to calculate and/or verify the amount of the invoice together with the Purchase Order number. If the invoice is not provided in accordance with this clause 9.3, WPH has no obligation to pay the Supplier until the invoice is rectified. if the resolution of the dispute determines that WPH is to pay an amount to the Supplier, it will pay that amount upon resolution of that dispute. WPH may reduce any payment due to the Supplier under these terms by any amount for which the Supplier is liable to WPH, including costs, charges, damages and expenses. This does not limit WPH’s right to recover those amounts in other ways. Unless otherwise specified, any money payable under this Agreement is to be paid in Australian currency. If this Agreement involves the supply of Goods and/or Services on a cost plus basis WPH has the right to conduct an audit of the basis of the Supplier’s charges using the Supplier’s records. This right continues for 12 months after WPH pays the relevant invoice. WPH inspects and accepts the Goods. WPH will be entitled to clear, complete and quiet possession of the Goods. Except where the Agreement provides otherwise, the Supplier is responsible for ensuring that the Goods are properly packed and delivered by the time or times and to the place specified in the Purchase Order. The Supplier must deliver the Goods to WPH by such means as is specified in this Agreement. If the quantity of Goods delivered is greater than that specified in the Purchase Order, WPH may return any excess quantities to the Supplier at the Supplier’s sole risk and expense. The Supplier must supply a packing list, or delivery docket for each carton or box delivered to WPH. The packing list or delivery docket must be attached to the outside of the package of Goods in a waterproof envelope. For consignments with a gross dead weight of more than 15 kilograms, the Supplier must clearly mark the Goods with a “Caution Heavy Load” sticker. If, for reasons not attributable to WPH, the Supplier fails to deliver the Goods to the delivery point on the delivery date specified in the Purchase Order, the Supplier shall pay to WPH such liquidated damages in the amount specified in the Purchase Order commencing from the day following the delivery date. If no liquidated damages are specified in the Purchase Order, WPH will be entitled to its actual damages. WPH will not be deemed to have accepted any Goods or Services until it has had a reasonable time to inspect the Goods after delivery and to inspect and test the results of any Services after performance. Payment for the Goods and any Services or the signing of delivery receipts before inspection does not constitute acceptance of the Goods or the Services. make good the Defective Goods. make good the Defective Services. reimburse WPH for any expenses WPH incurs in making good any Defective Goods and any Defective Services, under clauses 12.2and 12.3.
affect WPH’s rights to claim for any damage or loss WPH may suffer because of the Supplier’s breach of warranty or failure to fulfil any of its other obligations under this Agreement. If WPH decides to accept some Goods or some Services from the Supplier which do not comply with the terms of this Agreement, this decision does not bind WPH to accept future shipments of Goods or the future performance of Services which do not comply with the terms of this Agreement. Payment for Goods or work done prior to inspection is not to be construed as an acceptance of defective Goods or Services by WPH. Any repairs or replacement Goods provided by the Supplier under this clause will be subject to the same warranty as the original Goods, from the date of repair or replacement. Any Services that are re-performed or made good by the Supplier under this clause will be subject to the same warranty as the original Services, from the date of re-performance or on which the Services were made good. The remedies provided in this clause do not exclude any other remedies provided by law. Where the Goods or any materials, parts or components of the Goods supplied to WPH are manufactured or supplied by a party or parties other than the Supplier, the Supplier must procure from the parties the best reasonably obtainable warranties in respect of the Goods or such materials, parts of components of the Goods that are manufactured by third parties and shall ensure that WPH has the benefit of those third party warranties. the other Party becomes insolvent or enters receivership or administration. WPH may vary or terminate this Agreement or part of this Agreement at any time upon not less than 21 days’ written notice to the Supplier. send WPH a Written Claim prepared in accordance with clause 5with an adjusted Price for this Agreement within 30 days of the effective date of variation. where the notice is given under clause 2, send WPH a Written Claim prepared in accordance with clause 14.6with an adjusted Price for this Agreement within 30 days of the effective date of termination. where the Agreement has been terminated, not specify an adjusted Price that is greater than the Price specified in this Agreement. the reasonable costs of complying with any directions given by WPH upon, or subsequent to, termination. WPH has the right to audit the Supplier’s Written Claim. in the case of a termination of this Agreement, the Supplier may invoice WPH for the amount of the Written Claim, which invoice shall be payable subject to and in accordance with clause 9.
the rights and obligations of the Parties under clauses 17, 19 and 20 which survive termination of this Agreement. WPH has the right, at any time and for any reason, to suspend this Agreement or any part of this Agreement by giving the Supplier notice. When the Supplier receives a notice of suspension from WPH, it must suspend this Agreement until such time as WPH directs that the Agreement is no longer suspended. At such time, the Supplier must promptly recommence the performance of its obligations under this Agreement. Where the termination or suspension of this Agreement is not a result of any default or action on the Supplier’s part, or on the part of the Supplier Personnel, WPH will reimburse the Supplier for the verified additional demobilisation costs the Supplier incurred as a direct consequence of the termination or suspension. Notwithstanding in other provision in this Agreement, WPH will not be liable to the Supplier for any anticipated profit or unperformed work. Both parties acknowledge that the Supplier is WPH’s contractor and not WPH’s employee or agent. The Supplier must ensure that each of its sub-contractors acknowledges in each sub-contract that the sub-contractor is the Supplier’s contractor and not its employee or agent. loss of, or damage to, property, happening anywhere in Australia arising out of or in connection with this Agreement. The limit of liability provided by this policy for each and every event must be not less than $20 million. other insurances required by law or reasonably required by WPH. The Supplier must ensure that the policies of insurance noted in clauses 16.1(b) and 16.1(c) shall include a principles indemnity extension and waiver of subrogation in favour of WPH. Unless agreed otherwise by WPH, any sub-contract must require the sub-contractor to effect and maintain insurance required to be taken out by the Supplier under this Agreement including workers compensation, public liability, and motor vehicle third party liability insurance. The Supplier must not permit any sub-contractor to enter upon the Site or continue to provide any Goods or Services, unless it remains insured. The Supplier must notify WPH immediately of any cancellation of a relevant insurance policy and of any change to the policy which affects WPH’s interests. ensure that WPH is kept fully informed of any subsequent actions and developments concerning the relevant claim. At WPH’s request, the Supplier must produce certificates of insurance evidencing that it is maintaining the insurances required by this clause. The Supplier’s obligations to insure under this clause are material obligations of this Agreement. Without limiting WPH’s rights at law in equity or otherwise under this Agreement, any failure by the Supplier to comply with a provision of this clause entitles WPH to terminate this Agreement and to have the right to set off against any sum payable to the Supplier all costs and expenses WPH incurs in taking out and maintaining a policy of insurance which the Supplier has failed to take out as required under this clause. The Supplier acknowledges that if it enters the Site, it does so at its own risk. The Supplier must ensure that the Supplier Personnel are also aware that they enter the Site at their own risk. the entry onto, and the activities undertaken on and in, the Site by the Supplier and/or the Supplier Personnel. except to the extent that any liability, loss or damage is solely and directly caused by WPH’s judicially determined wilful misconduct or negligence or that of WPH’s employees, agents, contractors and sub-contractors (other than the Supplier). Every exemption, limitation, defence, immunity or other benefit contained in this Agreement to which WPH is entitled will also be held by WPH to the benefit of, and will extend to protect, each of WPH’s employees, agents, contractors and sub-contractors (excluding the Supplier and the Supplier Personnel). Each indemnity in this Agreement is a continuing obligation separate and independent from the Supplier’s other obligations and survives termination of this Agreement. It is not necessary for WPH to incur expense or make payment before enforcing a right of indemnity conferred by this Agreement. 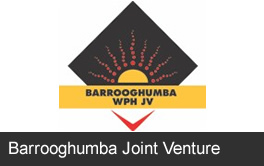 If WPH enters this Agreement as agent for and on behalf of joint venture partners, the liability of each of those joint venture partners under this Agreement is several and not joint, nor joint and several. The Supplier must comply in all respects with all applicable laws in discharging its obligations under this Agreement. If any addition or alteration is required to be made to the Goods in order to comply with applicable laws then the Supplier shall promptly acquire and install such addition or make such alteration upon becoming aware of the requirement. WPH acknowledges that the Supplier remains the owner of all Background IP. The Supplier gives WPH a non-exclusive, transferable, royalty free licence to use all Background IP to the extent necessary to enable WPH to exercise rights in the Project IP. The Supplier acknowledges and agrees that all Project IP shall be vested in WPH and shall be WPH’s property as and when created and the Supplier hereby assign all rights, title and interest in and to the Project IP to WPH (including but not limited to the Project IP created prior to or after the date of this Agreement). WPH gives the Supplier a non-exclusive, non-transferable, revocable licence to reproduce and use the Project IP as necessary for the purpose of completing this Agreement. WPH has the right to revoke this licence at any time by notice in writing to the Supplier. The Supplier must not disclose, reproduce or otherwise deal with the Project IP, or allow any other person to do the same, for any purpose other than to complete this Agreement. it has the right to assign all Project IP to WPH in accordance with clause 19.3. The Supplier agrees that any sub-contract it enters into in relation to this Agreement will contain a condition that the sub-contractor agrees to assign to WPH all Intellectual Property Rights in any Project IP created by it for the purposes of this Agreement. The Supplier agrees to provide all reasonable assistance WPH may request to protect the Intellectual Property Rights in the Project IP. The obligations in this clause continue after this Agreement is terminated. The Supplier agrees that it will hold all Confidential Information in confidence and will not (except in the proper course of its duties under this Agreement or as required by law or by the other Party) disclose to any person any Confidential Information. is required to be disclosed by law or any government or governmental body, authority or agency having authority over the Supplier. The obligations under this clause 20 survive termination of this Agreement. provided that such bona fide prospective purchaser agrees to keep the terms of this Agreement confidential in accordance with clause 20. Unless this Agreement provides otherwise, should any Taxes (other than GST) be levied on, in respect of, or in relation to, the Goods and/or Services these will be to the Supplier’s account. The Supplier will be responsible for the payment of those Taxes and will provide documentary evidence of the payment of those Taxes if made on WPH’s behalf. Without limiting clause 21.1, the Supplier will be solely liable for income tax imposed on it in respect of income derived by it in the provision of the Goods and/or performance of the Services. If GST has application to any supply made by the Supplier under or in connection with this Agreement, the Supplier may, in addition to the consideration payable or to be provided for the supply, subject to issuing a Tax Invoice, recover from WPH an additional amount on account of GST, such amount to be calculated by multiplying the amount or consideration payable or to be provided by us for the supply by the prevailing GST rate. If any change in the GST law is accompanied by or undertaken in connection with a reduction in or abolition of any then existing Taxes (including, without limitation, the allowance to any person of a rebate, credit, grant or any other amount referable to a Tax), the consideration (excluding any GST) payable by WPH will be reduced by the same amount as the Supplier’s actual total costs are reduced as a consequence of a reduction in or abolition of Taxes, whether directly by way of a reduction in or abolition of Taxes paid or payable by the Supplier to its third party suppliers or to any government, or indirectly by way of reduction in the prices (excluding any GST) charged by third party suppliers to the Supplier or the allowance to the Supplier or any other person of a rebate, credit, grant or any other amount referable to a Tax (whether such Tax has been paid or is payable by the Supplier or any other person). If it is determined on reasonable grounds that the amount of GST paid or payable by the Supplier on any supply made under or in connection with this agreement differs for any reason from the amount of GST recovered or recoverable from WPH then the amount of GST recovered or recoverable from WPH shall be adjusted accordingly. Where the amount of GST recovered or recoverable from WPH is adjusted pursuant to clause 21.5and this gives rise to an Adjustment from an Adjustment Event the Supplier must provide an Adjustment Note to WPH. All amounts payable by WPH to the Supplier by way of reimbursement of an amount paid or payable by the Supplier to any other person, or calculated on the basis of amounts incurred or to be incurred by the Supplier, shall be calculated on the basis of such amounts paid or payable by the Supplier, or costs incurred or to be incurred by the Supplier, excluding any applicable amount in respect of GST incurred by the Supplier to the extent to which the Supplier is entitled to an input tax credit in respect of such GST or amount. The Supplier may not assign or sub-contract its rights and/or obligations under this Agreement without WPH’s prior written consent. WPH has the right to assign any or all of its obligations or rights under this Agreement at any time to any third party that is financially capable of meeting WPH’s obligations under this Agreement. Sub-contracting does not relieve the Supplier from any liability or obligation under this Agreement. The Supplier remains liable to WPH for the acts and omissions of any Supplier, as if they were the Supplier’s acts or omissions. President means the president for the time being of the Law Society of Western Australia. In the event of any dispute or difference between the Parties as to any issue arising under this Agreement that dispute or difference, if unresolved within 7 days after notice in writing of the dispute or difference has been given by a Party to the other Party, shall be referred to an Arbitrator in accordance with the Act. The Arbitrator shall be a person agreed between the Parties. In default of agreement as to the Arbitrator within 7 days after nomination in writing by any Party the Arbitrator shall be a person appointed by the President. no variation to these terms will be permitted except with the written agreement of the parties. both Parties must perform their other obligations under this Agreement. This clause 23 shall not affect the right of a party to seek urgent injunctive relief from a court of competent jurisdiction. email to the last notified address of the Party. If posted in Australia, a letter is taken to be received on the second business day after posting. If posted overseas, a letter is taken to be received on the seventh business day after posting. A facsimile is taken to be received immediately unless the sending party’s machine indicates a malfunction in transmission. An email is taken to be received immediately unless the sending party receives an email indicating the email was not received by the receiving party. The Supplier accepts the Purchase Order and agrees to be bound by the terms in this Agreement by executing the Purchase Order, or by delivering any Goods or by starting performance of Services under this Agreement. The Purchase Order, when bearing an order number and duly signed on WPH’s behalf, is the only form which WPH will recognise as authority for charging Goods and/or Services to its account and supersedes all previous communications and negotiations in relation to the Goods and/or Services. Except as may be specifically provided in this Agreement, any terms and conditions contained in or relating to any other documents, including any of the Supplier’s documents, in respect of the Goods and/or Services are excluded. Any of WPH’s rights under these terms can only be waived by it in writing. These terms may not be varied except in writing signed by both Parties. WPH may exercise a right, remedy or power in any way it considers appropriate. If WPH does not exercise a right, remedy or power at any time, this does not mean that WPH cannot exercise it later. To the extent of any inconsistency between the Purchase Order, these General Conditions and any other terms and conditions as may be set out in any attachment to the Purchase Order or referred to in the Purchase Order, then (subject to clause 26.6) the terms and conditions as set out in the Purchase Order prevail to the extent of any such inconsistency, then any terms and conditions in any attachment or reference and then these General Conditions. The terms and conditions set out in clause 17 prevail over any inconsistent terms and conditions in this Agreement wherever they may be contained. The Supplier must obtain at its own expense any necessary Licences or permits and comply with applicable laws in supplying the Goods and/or the Services to WPH. WPH’s rights, remedies and powers under this Agreement are in addition to any rights, remedies and powers provided by law. This Agreement is governed by the laws of Western Australia and where applicable the laws of the Commonwealth of Australia. However, the Supplier and WPH agree that the United Nations Convention on Contracts for the International Sale of Goods (adopted at Vienna on 10 April 1980) does not apply in any respect to this Agreement. Both Parties agree to submit to the non-exclusive jurisdiction of the courts of Western Australia and, if applicable, the Commonwealth of Australia and the courts of appeal from them. a reference to any legislation or to any provision of any legislation includes any modification or re-enactment of it, any legislative provision substituted for it and all regulations and statutory instruments issued under it. Headings are inserted for convenience and do not affect interpretation of this Agreement. Adjustment has the same meaning as in the A New Tax System (Goods and Services Tax) Act 1999 (Cth). Adjustment Event has the same meaning as in the A New Tax System (Goods and Services Tax) Act 1999 (Cth). Adjustment Note has the same meaning as in the A New Tax System (Goods and Services Tax) Act 1999 (Cth). Agreement means this agreement as constituted by the Purchase Order, these General Conditions and any other documents attached to the Purchase Order or referred to in the Purchase Order, including any relevant current agreement between the Parties. (b) come into existence after the date of this Agreement otherwise than in connection with this Agreement. Company’s Representative means the person noted as WPH’s Representative in the Purchase Order. Completion Date means the date specified for Completion of the Services as set out in the Purchase Order. 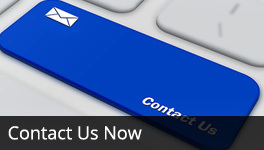 Confidential Information means all information which is not in the public domain and which is reasonably regarded by WPH as confidential relating in any way to WPH which the Supplier is or becomes aware of in the course of providing the Goods and/or Services, regardless of whether acquire or developed by WPH, the Supplier or a third party. Defective Goods means goods which are not in conformity with this Agreement or are defective in design, performance, workmanship or makeup. Defective Services means services or the results of any services which are not in conformity with this Agreement, are of inferior quality or workmanship or are otherwise unsatisfactory. Delivery Date means the date specified for delivery of the Goods as set out in the Purchase Order. General Conditions means these Purchase Order Terms and Conditions. Goods means the goods specified in the Purchase Order (including any part of the goods specified). GST has the same meaning as in the A New Tax System (Goods and Services Tax) Act 1999 (Cth). Intellectual Property Rights includes without limitation the protected rights attaching to inventions, patents, registered designs, trademarks, copyright, circuit layouts and confidential information. Licences means all licences, qualifications, registrations and other statutory requirements necessary for performance of services and supply of goods under this Agreement. Purchase Order means the service or purchase order issued to the Supplier which incorporates these General Conditions. Party means the Supplier or WPH. Parties means the Supplier and WPH. Price means the price specified in the Purchase Order or the rates for supply of Goods and performance of the Services (as the case may be). Project IP means all Intellectual Property Rights (present or future) created, discovered or coming into existence as a result of, for the purpose of or in connection with the supply of Goods or provision of Services or this Agreement (including without limitation all Intellectual Property Rights developed by the Supplier in supplying the Goods and/or providing the Services and any Intellectual Property Rights in the Technical Materials provided by WPH to the Supplier). Services means the services specified in this Agreement (including any part of the specified services and the results of the specified services). Site means those premises owned or operated by WPH as specified in the Purchase Order. Supplier means the person named in the Purchase Order as the supplier of the Goods and/or Services. 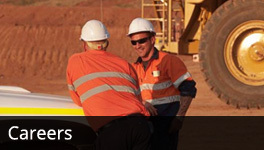 Supplier Personnel means all employees, agents, contractors and sub-contractors of the Supplier. Supplier’s Representative means the person noted as the Supplier’s contact in the Purchase Order. Taxes means any and all present and future sales, use, personal, property, real property, value added, goods and services, GST, turnover, stamp, documentary, interest equalisation, business, occupation, excise, income, corporation, profits, gains, gross receipts, or other taxes, fees, withholdings, imposts, levies, duties or other charges of any nature whatsoever or whensoever imposed (other than taxes on WPH’s net income) by any government, governmental, semi-governmental or other relevant authority, together with any penalties, fines or interest thereon or similar additions thereto, imposed, levied or assessed or otherwise payable. Tax Invoice has the same meaning as in the A New Tax System (Goods and Services Tax) Act 1999 (C’th). Technical Materials includes plans, designs, drawings, engineering information, data, specifications, reports, accounts and any other material specified in this Agreement. (b) 12 months from the date on which the Service is performed (in the case of the Services). 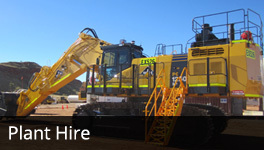 WPH means Western Plant Hire (WA) Pty Ltd. Written Claim means a written claim given by the Supplier in accordance with clauses 14.3(b) or 14.4(d), and 14.5.